A lot of people start their blogging career with free Blogspot blog and after receiving a good response, they switch to WordPress. I have already written a guide on How To Transfer Blog From Blogger To WordPress, which is helpful if you are using Blogspot sub-domain. However, most of the bloggers use a custom domain with their blogger blogs. The article mentioned above will not work if you are using a custom domain with your blog. So I thought of writing this guide to help people using custom domains to transfer their blog from Blogger to WordPress. Transferring your blog from Blogger to WordPress is not very difficult when you are using a custom domain for your blog. However, the challenge here is to make sure your blog gets transferred with least downtime. Below is the summary of the steps to custom domain blogger from WordPress with least downtime. Following are the steps you need to follow for transferring your blog from Blogger to WordPress with least downtime. The first thing that you need to do is choose a web host for your blog. You can either buy hosting from your domain registrar or any other hosting company of your choice. There is no restriction for the same. If you purchased your domain name from Godaddy, then you can buy hosting from them as they have cheap and decent hosting plans. However, if you purchased your domain name from some other domain registrar, you can also consider buying hosting from Namecheap or Dreamhost depending upon your budget. GoDaddy's Economy Hosting Plan will cost you $3.99 per month at the website. However, with the Special GoDaddy $1 Hosting Offer, it will cost you just $1 per month. At Namecheap, it's Value plan will cost you $0.82 per month. Namecheap usually does not offer any discounts as it is already among the cheapest when it comes to reliable hosting companies. 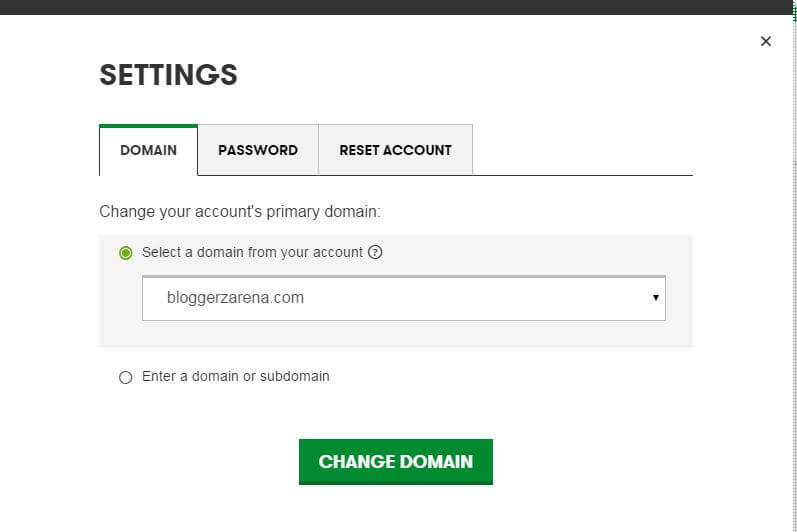 In most guides on transferring custom domain Blogger to WordPress, you will not find this step. However, this step is essential to reduce the downtime of your blog. By modifying the "Hosts" file on your Windows computer, you can force your browser to redirect your domain to your new hosting server while other users continue to see your websites on Blogger as it is. This sort of creates a staging server and allows you to transfer your blog and make any changes to your it without any downtime. 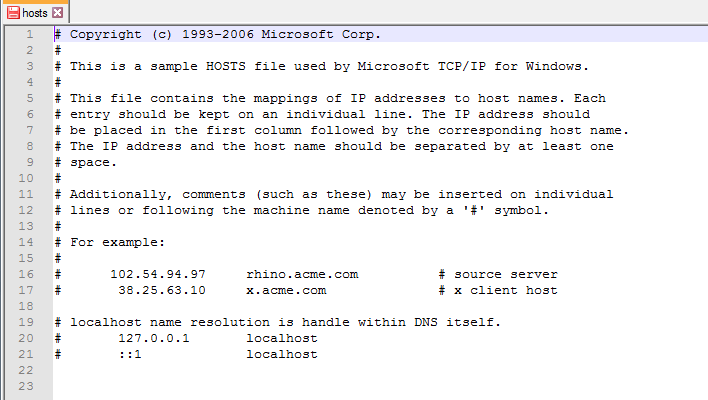 First, find out the IP Address of your hosting server. You can either find the IP Address in your welcome mail or cPanel or get it from customer support of your hosting company. Now add the following code at the bottom of the file after replacing the IP Address with your hosting server's IP address and example.com with your domain name and save the file. That is it. You will now be redirected to your new hosting server when you try to access your domain name. If you are using hosting with cPanel, open www.example.com/cpanel in your browser after replacing example.com with your domain name. If you followed the steps correctly, it should open your cPanel login page. Most of the hosting companies provide you with one-click installation for WordPress. You can refer the WordPress installation guide of your host. Below are the WordPress installation guides for Dreamhost, GoDaddy, and Namecheap. It's very important to change your permalink structure to Blogger's default permalink structure. Failing to do so will throw up 404 error as WordPress default permalink structure is different from Blogger. After installation, click on "Activate Plugin and Run Importer". This will open the following pop-up. Choose the Blogger XML file which you downloaded earlier and upload it. Now assign the posts to an existing author or create a new author and submit it. You will receive a success message to indicate the transfer has been completed. In some cases, the plugin may not be able to upload all the Images and will show error. Do not worry about it. Your posts will be correctly updated. You can then upload missing images manually. You can also use Import External Images Plugin. This Plugin will automatically import all the images from links in your blog posts to your WordPress Media Library. You can now install WordPress theme of your choice and make changes to the same. Do not forget to install the Recommended Free WordPress Plugins For Beginners. You can take your time for making the changes as your blog at Blogger is still live. This method will only transfer your posts. You need to manually copy paste you web pages to WordPress. For most bloggers, the number of pages may not be more than 5 and so this step can be completed easily. Once you are satisfied that all your posts are correctly transferred and that you have made all the necessary changes to the theme, the next step would be to remove Blogger redirection. Keep in mind, as soon as you complete this step, your blog will go offline till you complete remaining steps. So make sure to understand the remaining steps before moving further. 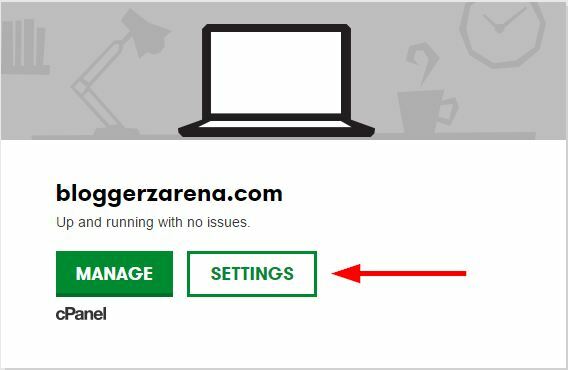 For removing redirection of your domain name to Blogger, you must first log in to your Blogger account and navigate to Settings>Basic. Under the publishing section, click on the small cross mark just beside edit option. You will be asked to confirm your action. Click "Ok" to remove the redirection. Next, you need to remove the CNAME Records and A Records which you added to your domain account while mapping your custom domain to Blogger. Since most people buy domain names from Godaddy, I am going to explain to you how to do so for Godaddy. The steps would be similar for all other domain registrars. And if you mapped a custom domain to your account yourself, it will not be very tough for you to follow these steps. a. First, log in to your Godaddy account. You will see the following page. Click on "Manage" option. b. You will now see a list of domains you use. Select the correct domain to open domain details page. 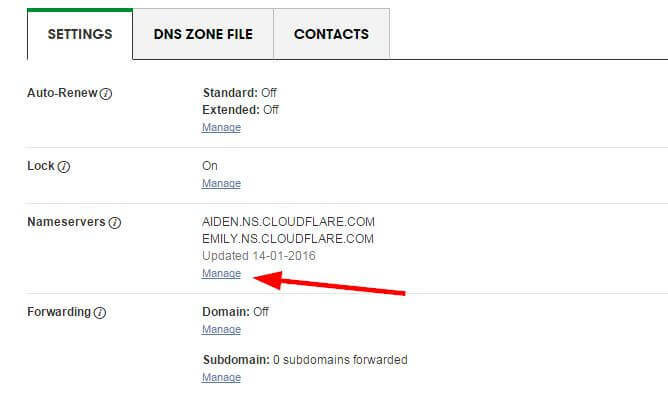 c. On the domain details page, click on "DNS Zone File" tab. Here you will see an option to remove CNAME records and A- Records. In case you are not sure, below are CNAME and A records that you have to remove. You have now successfully removed redirection to Blogger. There can be two situations, your web host & domain registrar are same, or your host & domain registrar are different. a. Go to your GoDaddy account settings again and click on "Manage" in front of "Web Hosting"
c. You can now see the following pop-up. Select the domain you want to link to your hosting account from the drop down menu and click on change domain and you are done. a. First, you need to find out the DNS settings required by your host. You can do so by either searching for it on Google or by contacting customer care. Most hosts will require you to change Nameservers of your domain to point to them. b. Once you have the name servers, you need to add that to your domain account. 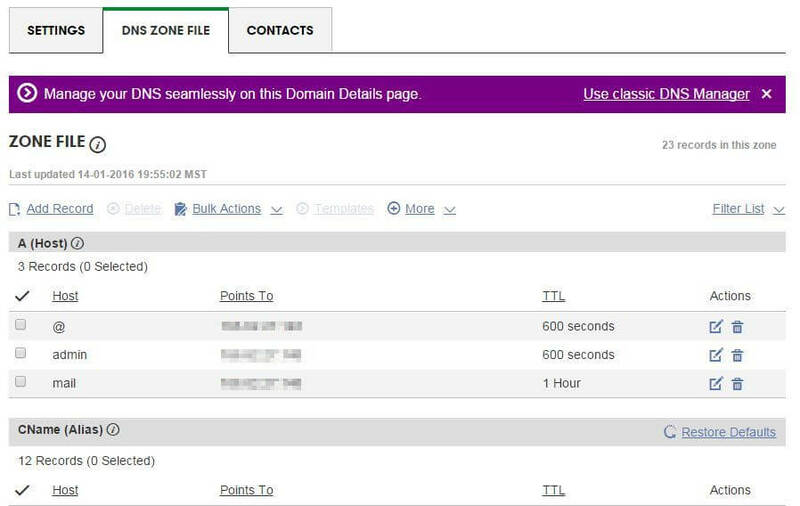 For GoDaddy users, you can go back to domain details section as discussed earlier. Under the settings tab, click on "Manage" in front of Nameservers. I am using CloudFlare CDN, so I already have two Nameservers added. In your case, it will be empty. 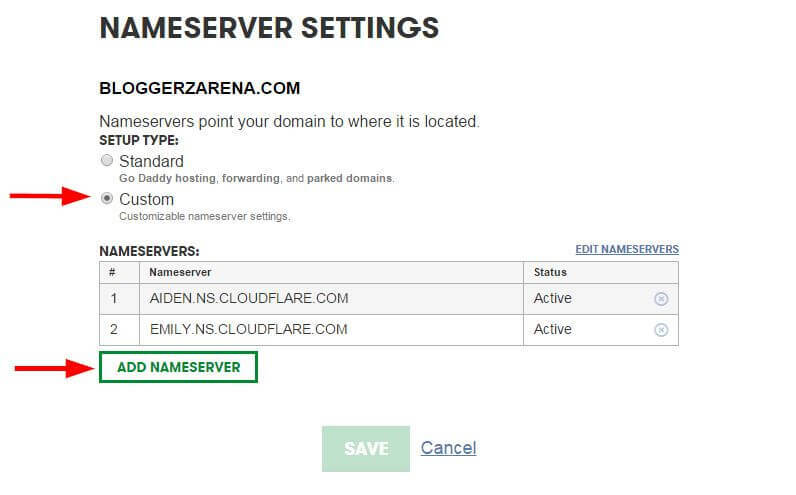 You can now click on Add NameServers to add all the Nameservers provided by your host, one by one. Once you are done adding, click on save. That is it; you now have your domain name pointing to your host. In both conditions discussed above, the DNS will take anywhere between 30 minutes to 48 hours to propagate across the world wide web. In most cases, it will fully propagate in 2 hours time. Blogger Permalinks are not SEO friendly. If you want to change it to SEO friendly structure, you can repeat step 4 to change your Permalinks to desired structure. I would recommend selecting "Post Name" as your default permalink structure. Transferring your Blog From Blogger To WordPress may seem tough and lengthy process, but once you start doing it, you will realize it is not that difficult. Following the above steps, you can easily transfer your Blog from Blogger to WordPress with least downtime. If you have any questions or facing any difficulty transferring your Blog, do let me know through comments or contact me through Contact Us Form of this blog. No Diptesh, your rankings won’t be affected if you continue to use the Blogger default permalink structure with WordPress. However, if you change the permalink structure as stated in the last step, in some cases, there might be a temporary drop in rankings as the old permalink will redirect to the new permalinks for every post and page. However, the rankings will get back to normal in a few days. As to your second question, No, Blogger to WordPress redirection plugin is not necessary if you are using a custom domain with your blogger blog. It is only necessary when you are using Blogspot subdomain. I purchased a domain name from blogger blog… and i want to move to wordpress so is it possible? 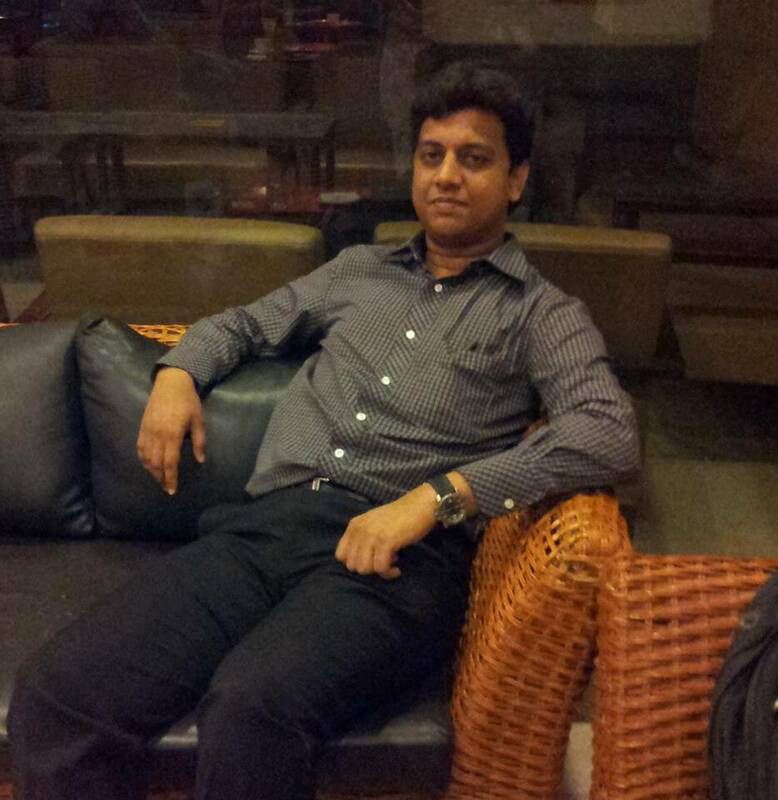 with same domain name…. Your query is not very clear. Blogger does not sell domain names. Blogger provides you a free Blogspot sub-domain. If you wanted to know if you can use the same Blogspot sub-domain with WordPress, then the answer is negative. For starting a WordPress blog, you need to buy your own domain name.